That cockiness speaks to the spirit of great-power competition animating the Chinese space program. China is open about the fact that it isn’t merely looking to expand human knowledge and boundaries; it’s hoping to supplant the U.S. as the 21st century’s dominant space power. And, if this were still the 1960s, when the American and Soviet space agencies fiercely competed against one another, China’s deep pockets, focus and methodical approach to conquering the heavens might indeed win the day. But the truth is, thanks to the development of a dynamic, fast-moving American commercial space industry, China’s almost certain to be a runner-up for decades to come. That doesn’t mean the People’s Republic isn’t making progress in its attempts to colonize the moon and turn it into the outer-space equivalent of its South China Sea outposts (an avowed goal of Ye Peijian, head of China’s lunar program). China will launch a mission to bring back samples from the moon later this year. Over the next decade, it plans to launch a space station, a Mars probe, asteroid missions and a Jupiter probe, while continuing to develop reusable rockets and other vehicles that will enhance its access to space. A human mission to the moon is targeted for 2030, and a permanent colony by the middle of the century. By contrast, NASA’s own ambitions seem limited. American astronauts haven’t left low-Earth orbit since the last Apollo moon landing in 1972, while the U.S. lost the ability to fly to the taxpayer-funded International Space Station with the retirement of the Space Shuttle. Too often, new presidents have shifted space priorities, forcing NASA to cancel or reconfigure expensive missions that have been years in the planning. Worse, many members of Congress still view NASA as a tool to deliver wasteful, pork-barrel spending to politically connected constituencies. But, that hardly describes the entirety of the U.S. space program. Since the mid-2000s, when Congress authorized the agency to begin cultivating public-private partnerships, NASA’s most important role has been as a seed investor and adviser to private space companies. While Elon Musk’s Space Exploration Technologies Corp. — or SpaceX — receives the bulk of attention, the commercial space industry now comprises dozens of firms in fields ranging from small satellites to lunar exploration. The results have been spectacular: By NASA’s own estimates, the cost of SpaceX developing its workhorse Falcon 9 rocket was less than 10 percent of what it would have cost if NASA had done it. NASA’s backing is paying dividends elsewhere, too. In coming weeks, SpaceX will launch uncrewed orbital test flights of its Crew Dragon spacecraft — a capsule designed to deliver U.S. astronauts to the International Space Station. At least two other companies are looking to launch commercial space stations. Jeff Bezos’ Blue Origin LLC is planning an uncrewed moon landing by 2023 (in line with NASA’s lunar goals). Meanwhile, SpaceX is developing a larger rocket that’s scheduled to take tourists around the moon that same year. And NASA, keen to encourage more lunar exploration, just announced a partnership with nine companies developing lunar landers, with the first missions set to launch as early as this year. Of course, space exploration isn’t just about making money and colonizing the moon. Science, too, remains a motivation, and there the U.S. remains a global leader with a nearly insurmountable lead. Just this week, the New Horizons probe completed the most distant exploration in history (of a small rock 4 billion miles from Earth), and the OSIRIS-REx probe went into orbit around a small asteroid (that it’ll sample in 2020). NASA also has — among other missions — one ongoing mission at Jupiter and four at Mars, a solar probe, and two spacecraft that have entered interstellar space. Neither China nor any other country has plans to compete with this record of accomplishment, nor do they have the scientific or engineering experience to do so. As long as the U.S. remains focused on cultivating its commercial space industry and continuing to fund cutting-edge science programs, it has little reason to fear falling behind. Better yet, it has a much better chance to attract space scientists and other talent keen to profit from one of the 21st century’s most promising growth industries. 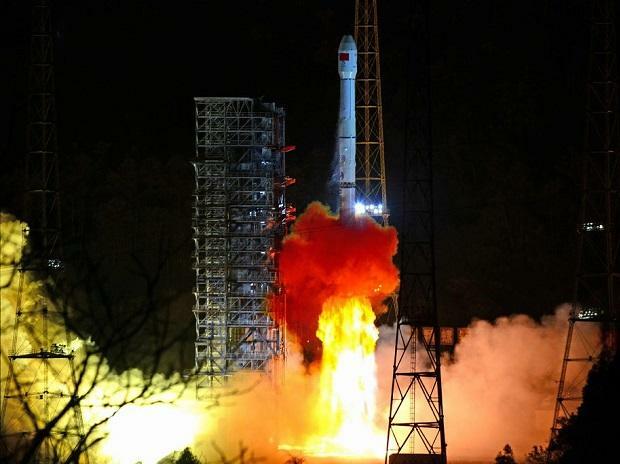 China, too, isn’t oblivious to the potential of commercial space — it’s developing its own industry — but the persistent dominance of China’s state sector ensures that its entrepreneurs will spend as much time on politics as propulsion systems. If we’re in a new race to the stars, the U.S. remains a good bet to win.